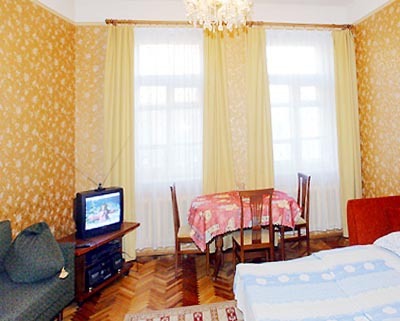 Apartment is located close to Nevsky Prospect and Vladimirskaya or Dostoevskaya metro station. in the kitchen. There is all necessary for cooking - home appliances and utensils: microwave, electric kettle, oven. There is bath in the bathroom. WC is separate from bathroom. Many of sights are situated in 10-15 min. walk from apartment: Russian museum, Ethnograthic museum, Big Dramatic Theatre etc.